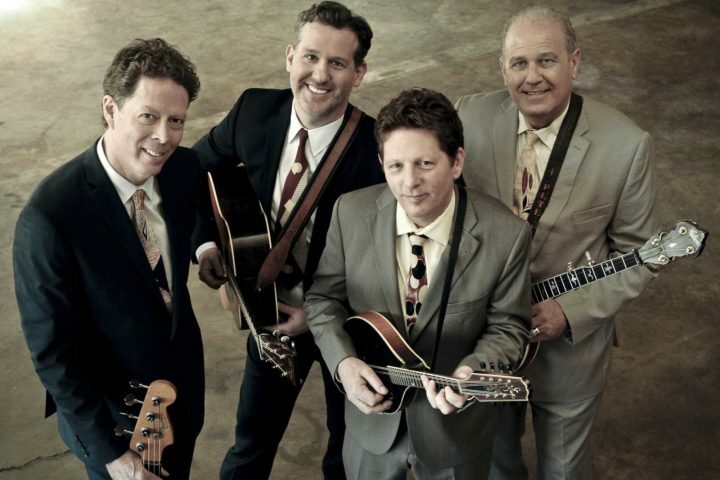 Flatpicking guitar great Bryan Sutton is still very much the “new guy” in Hot Rize. 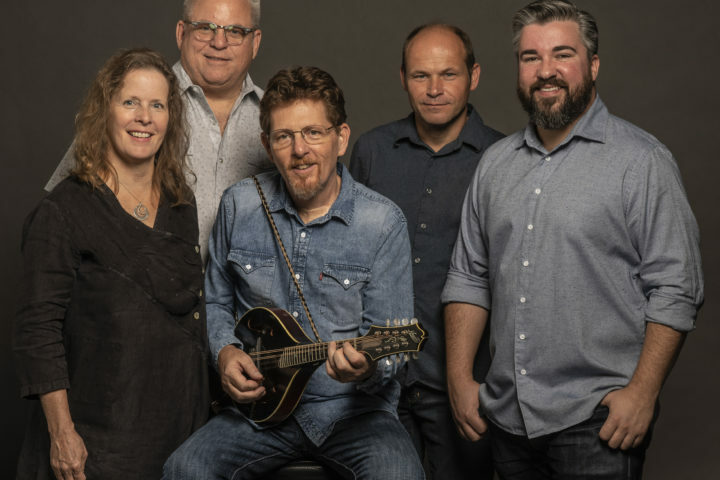 After all, he’s only served as guitarist in the legendary bluegrass band since 2002, filling in for the band’s late, great co-founder Charles Sawtelle. The rest of the band? Pete Wernick, Nick Forster and Tim O’Brien (not to mention their Red Knuckles and the Trailblazersalter egos) have been at it for 40 years and counting. As the group celebrates its big anniversary with a new live album, Hot Rize 40th Anniversary Bash, we decided to check in with Sutton to talk about the live recordings, how his playing has evolved over the years and learn what guitars are currently keeping him busy. Fretboard Journal: Congratulations on the release of the new album. What’s your schedule look like? Bryan Sutton: It’s been a busy summer. Now is sort of the calm between the storms, I guess. It’s busiest in the summer, kind of low-key in September and October and then touring gets busy in November and December. FJ: More Hot Rize dates? BS: Yeah. The main batch of new record Hot Rize stuff will kick off November 1st through about the 19th. FJ: Speaking of which, we’re premiering a video of you guys playing “Out on The Ocean” [above] at the Hot Rize 40th Anniversary Bash. Can you set the stage about this concert and what it felt like going into it? BS: Well, the concert kind of came together in pieces. I think Nick was the catalyst in saying, “Hey, it’s the band’s 40th anniversary… how do we acknowledge it?” The band’s energy is more about partying and fun than nostalgia. That formulated itself into three nights at the Boulder Theater with pals Sam Bush, Jerry Douglas and Stuart Duncan. Bluegrass, being what it is… you get all the right ingredients together and just start playing tunes. The Hot Rize party was the anchor of most of the set list. But then there was plenty of room to feature Sam or Stuart or Jerry over the three nights; some of the stuff made the record, some of it didn’t. For folks that were there, you got to hear a lot of different things from all those guys. “Out on the Ocean” was one of Sam’s contributions to the three nights and it’s cool to hear Sam and Tim sing together. It’s one of my favorite things about it. It’s kind of vocal duet all the way through. FJ: And what guitar were you playing for these nights? BS: That was the 1936 Martin D-28 that I’ve been trying to favor and commit to for the last almost two years now. BS: It’s going well. This was a good summer for it. Back in May, I played it at DelFest in Maryland and it got its first real dose of festival humidity and heat. And it responded well. That’s when I first started noticing, “Hey, this guitar’s starting to open up.” I’m starting to feel some more kind of resonance and low-end, things like that. So it kind of kicked it up a notch this year. FJ: All from that one festival weekend? BS: Well, that’s just where I first noticed it, so it’s been a good year for that guitar. These Hot Rize shows [that ended up on the 40thanniversary live album] were done back in January in Colorado, which is always a little tricky for instruments… to take them up to elevation in the thin air. But this one, as far as a travel, D-28 bluegrass tool goes, deals with the elevation changes and humidity changes pretty well. I think this Hot Rize project may be kind of the first major sort of release I’ve used that guitar on. FJ: Do you bring a back-up guitar for shows like this or do you just assume Nick [Forster] will have one? BS: If we’re playing in Colorado, Nick’s got plenty of stuff laying around if should I need. But, I really try to do the bluegrass thing and focus on one instrument and really make it work. I like knowing I can do whatever I need to do with one guitar. FJ: How do you have it strung up? BS: It’s still the medium-gauge, D’Addario J17s. Michael Daves gave me a mixed set in July… I don’t know what you’d call it, it’s a mixture of the J17s and the NYXL [D’Addario’s steel core electric guitar strings], with the bronze windings on the steel core. He gave me a set of those in July and I think I really like them. I used them for a while and liked what they were doing, so I’m hoping to get a few more of those. But the mainstay is the D’Addario J17, medium-gauge. FJ: So are you saying that-that the string packet he gave you in July is still on your Martin? BS: You know what? I don’t think so. Maybe I’ve made one change since then. FJ: That’s kind of amazing considering all the playing you do. BS: Maybe two. I try to go as long as I can, I am not a fan new strings, at all, on any guitar. FJ: I don’t like changing strings, either. But for me it’s mostly out of laziness. BS: I would completely admit a big chunk of that as well in my case. FJ: Charles [Sawtelle] still has a few more years on you in Hot Rize, but you’ve been at it a while, since 2002. How has your own playing in the band evolved over those years? BS: That’s an interesting question. On the rhythm guitar side, I probably noticed more change, listening to Tim’s mandolin playing and just sort of getting inside, deeper and deeper into the repertoire. Tim’s mandolin playing is not so much like Sam Bush’s mandolin playing in bluegrass, which is a real heavy chop presence and more space in-between those chops. Tim has that but there’s a lot more subdivision information in his mandolin playing. He’s kind of driving the band. His mandolin rhythm with the chop and more of that almost guitar-esque subdivision really is a big factor in the engine of Hot Rize. You know, because he’s lead singing the majority of the time. It’s just the driving energy and force that we’re all kind of finding our way around. Usually in bluegrass, you would subdivide a little more. I find in Hot Rize, I continue to kind of play less and less…. I’m doing more of the chop. Not a real muted chop, but just a little more sort of spank on the back beats. And then, the lesson from Charles that is always a good lesson for any bluegrass guitar rhythm player to learn, is space to the extreme — backing way out or making certain runs that you do more prominent by contrasting that space with a lot of activity or a large bass run. I find myself doing that more and more. And some of that’s just driven because I still, from childhood, have sort of an imprint of the Hot Rize sound and I’m a fan of that. In my playing with Hot Rize, I just sort of try to be a filter for that. I just try to let whatever’s in my brain that feels like a Hot Rize sound come through me, without being too conscious. FJ: Do you feel like that less is more’ philosophy oozes into your solo stuff as well as you get older? BS: Maybe. Here’s the thing: As Hot Rize, as opposed to some of the other bluegrass live situations that I’ve found myself in over the last 25 years, we don’t really play a lot of extremely fast music. There’s plenty of tempo there, but there’s a lot of mid-range and a lot of melody, a lot of singing. As a result, I do find myself more melodic these days — staying true to a melody or even in my improv really trying to let the melody be the feature. 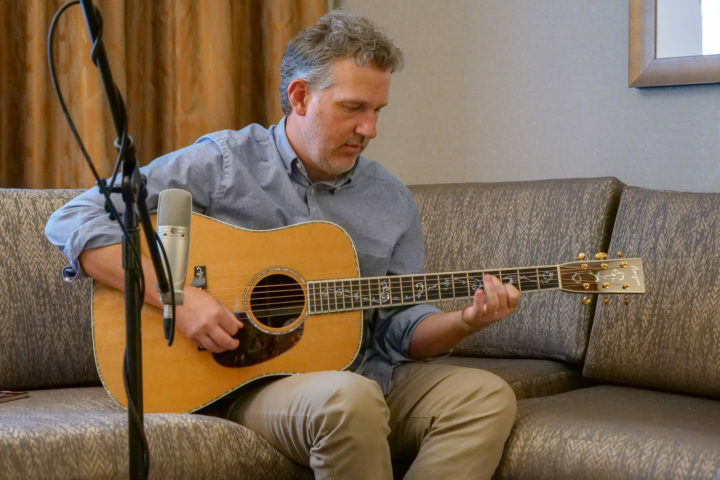 Solos feel more like a variation on a melodic theme, more than just a rip through some bluegrass vocabulary. I guess that’s a general maturing, probably. But I also feel like it’s just what the band needs, no matter what. FJ: What’s next for you over the next year or so? BS: I am also at a point where I am sort of re-tooling slightly. That could kind of go a lot of different ways, but, I am not so much of a journeyman, guitar road guy at all. I’ve always kept the Nashville business alive with sessions and now the ArtistWorks teaching keeps me around the house. That’s a big part of who I am, personally and professionally. Hot Rize is the closest thing I’ve ever had to a real consistent band. Most of everything I’ve ever been about is projects and things that sort of fly around, from one sort of bit of energy to the next. I guess ArtistWorks and sessions are the most sort of consistent bit of job-related energy. I like having something consistent like that that’s closer to home. FJ: Last question: Any new guitar purchases? Have you sold any guitars lately? BS: I’m not a great seller of guitars. What I have been into lately is finding these Island of Misfit Toys kind of guitars on Reverb. I love going there and finding Harmonys… I found this really cool Harmony Vagabond from the early ‘40s that the seller had X-braced. It was originally a ladder-braced guitar. I’ve been a fan of those and I’ve continued to find more of those little Epiphone Recording Model guitars, or the Epiphone Seville-style guitar, Style O, all-mahogany. I think they’re pretty cool. They all need a little bit of work on them to suit me, as far as playing and feeling like I can get the most out of it, but I really like what they’re doing. I like those small body guitars and I like their voices. It’s intriguing. I also found this really cool Oahu that I think is rosewood back and a spruce top; it’s kind of like a really cool kind of 000 Martin. But that also needs some love. Little projects. Stream the new record via Spotify or purchase the album on CD or vinyl here. Hot Rize will be taking their show on the road this November to the following cities.